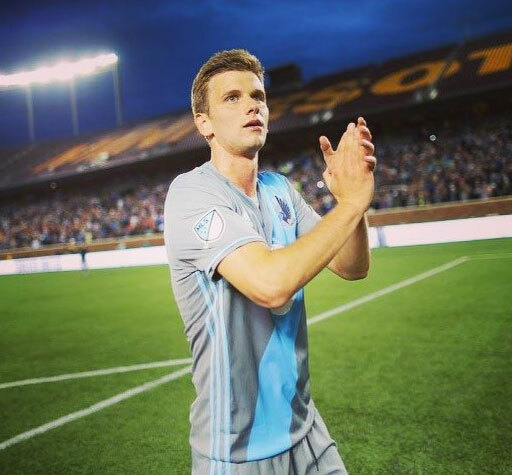 Minnesota United FC midfielder Collin Martin came out this morning in a tweet on his personal Twitter account. “Tonight my team, @mnufc , is having their Pride night. It's an important night for me — I'll be announcing that I am an openly gay player in Major League Soccer. #soccerforall,” wrote the 23-year-old just hours before Minnesota United hosts their Pride Night playing FC Dallas. "I have been out as a gay man for many years to my family and friends, and this includes my teammates. I have played Major League Soccer for 6 seasons: 4 seasons with DC United and 2 seasons with Minnesota United. 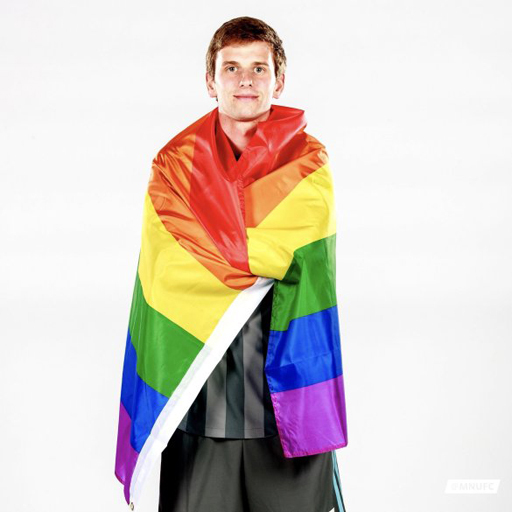 Today, I'm proud that my entire team and the management of Minnesota United know that I am gay. I have received only kindness and acceptance from everyone in Major League Soccer and that has made the decision to come out publicly that much easier. "As we celebrate Pride night, I want to thank my teammates for their unconditional support for who I am. In light of my experience as a professional athlete, I want to take this moment to encourage others who play sports professionally or otherwise to have confidence that sport will welcome them wholeheartedly. June is Pride month, and I am proud to be playing for Pride, and to be playing as an out gay man." Martin is now the second openly gay professional soccer player in MLS history following Robbie Rogers, who came out in 2013. That same year, Jason Collins came out as the first openly gay professional basketball player. And in 2014, Michael Sam was drafted by the St. Louis Rams becoming the first openly gay football player to be drafted by an NFL team. Rogers, Collins and Sam have retired from their sports, which means Martin is currently the only openly gay active player in any major pro sports league in the United States. Don Garber, MLS commissioner, said in a statement, "We admire Collin's courage, and are proud of him and of the support from the soccer community." Visibility is the key to acceptance, so here’s opening more pro athletes step up and come out. Congratulations, Collin, on living your authentic life! #BeTrue. Sending you love and support from D.C., Collin! Have fun tonight!